Now that we’ve cleaned up the kitchen, let’s tackle the bathroom. The bathroom should be a place of escape; a cleansing, nourishing environment for you to release the day’s stressors. Let’s lay the footwork for that project! Bathrooms come in all shapes, sizes, and styles and the ideas below can be modified for everyone’s taste. Somehow, in my home wet towels end up on chairs, door handles, and of course, the floor. Let’s fix that. I find that hanging towels on the traditional bar leaves half the towel damp and requires a perfect fold to look organized. Instead, I use hooks leaving my towels dry and always perfectly draped. To store freshly cleaned towels use a vertical shelving technique that saves space and reminds you of all the clean comforts you’d find in a five star hotel. This is easy storage for your extra bed linens: a great way to keep them matched is to fold and tuck the sheets into corresponding pillow cases. When I think of bathroom cabinets, I think of sticky spills, expired make-up, and too many unused products. By keeping our products above ground we can’t neglect bathroom cleanings, using what we have, and getting rid of what we don’t need. Put your cotton balls, bath salts, Q-tips, and loofas (extras for the forgetful overnight guest) in clear containers. Make a specialized container by following the directions from this blog. Put flirty faux eyelashes in the design for your make-up container, plane tickets for your stolen hotel shampoos and soaps, or something that accents your bathroom decor like the coffee beans below. Don’t forget to buy multi-use products; by storing items beneath the candles, you are able to store, showcase, and create a candle holder! I suggest putting your cotton balls or bath salts in this piece. 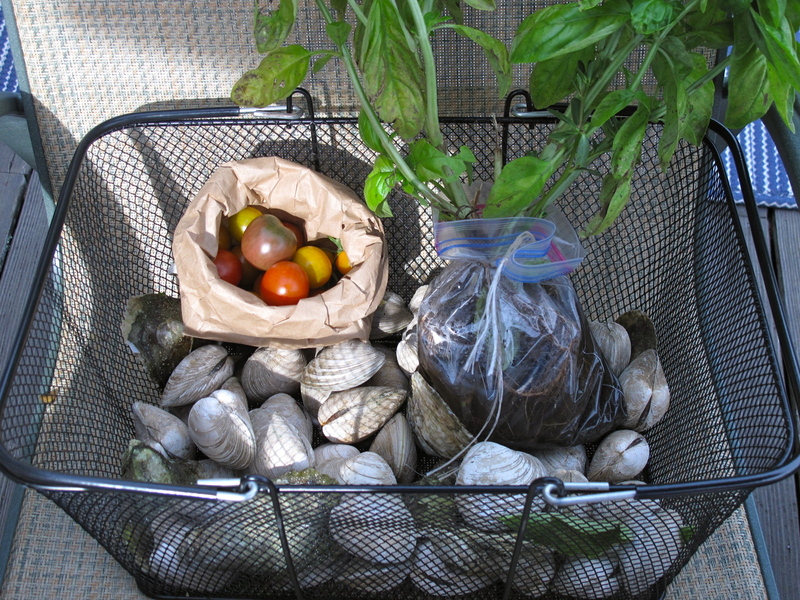 Some products require safe storage, far away from children’s reach and hidden from a guest’s view. Attaching a metal sticker to the inside of your cabinet, mirror, or on the back of a door, allows you to attach genius containers for all your clutter needs. Add shelves to place your containers upon. Last but not least, make use of what you’ve got! I use my bathtub for extra storage because I don’t use it often. By placing a wooden bench at the end of the bath, I have a new shelf for shampoos, conditioners, and make up. I place my jewelry, make-up, and mirror on a gold tray I can bring downstairs, to the bedroom, or leave looking elegant in my master bath. 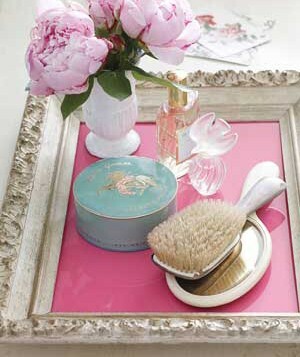 Another great idea is to make your own tray from an old picture frame. One last idea to store and enhance the unused tub is creating a bench as shown on this blog. An easy solution for storage needs: showcasing! The most cluttered areas in my home are always The Kitchen & The Bathroom. Both areas get a substantial amount of traffic and require the most storage. Rather than wasting valuable storage above and below the sink with cabinetry, or line countertops with boxes and baskets, use your every day items as décor. 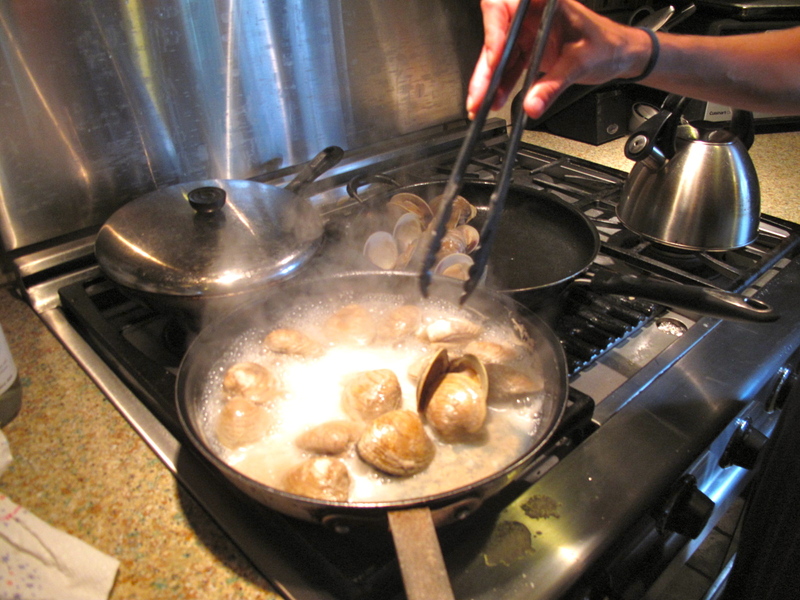 In this post, we’ll tackle the kitchen. 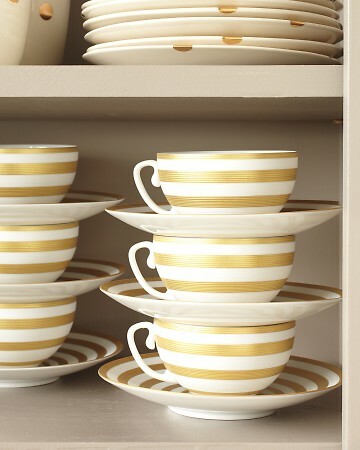 Most of us spend hours choosing the perfect china patterns, only to hide them away for ‘special occasions.’ Instead, show off your wedding gifts and your discerning eye for design by finally getting some everyday use out of your sparingly used pieces. 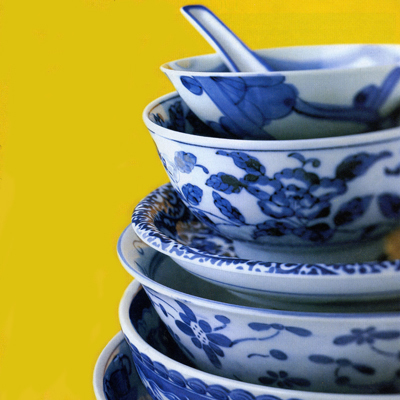 How to display your china and decorate your kitchen! The cutout below is what first inspired me to showcase items with treasured designs through accessible storage. Below are some great examples of open storage. 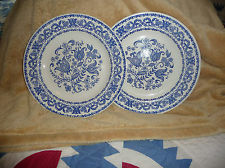 Use your rarely-used dining room table to display your china. 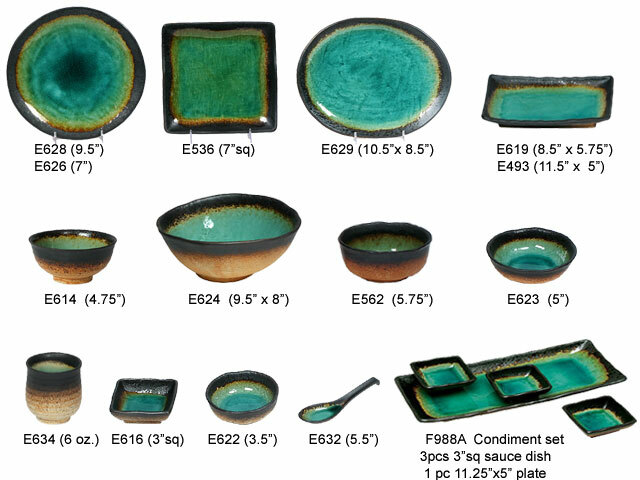 Choose a style to display your plates that suits your specific needs; California residents need to protect their china from earthquakes and a small kitchen needs to make efficient use of space. 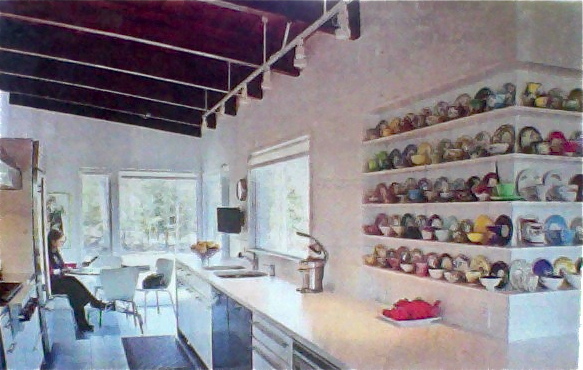 Hang pots and pans from the ceiling. 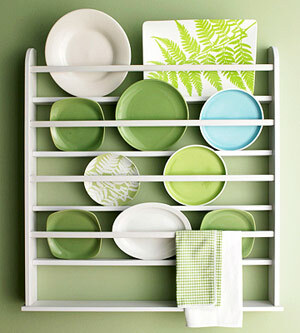 Hang mugs and glasses on the bottom of shelves or against a wall. 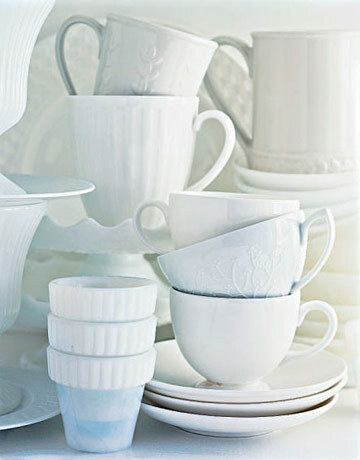 Blue & White China is a versatile classic. Mix and match styles you find at yard sales, on amazon.com, and in antique shops. Stackable items are especially great for saving space. 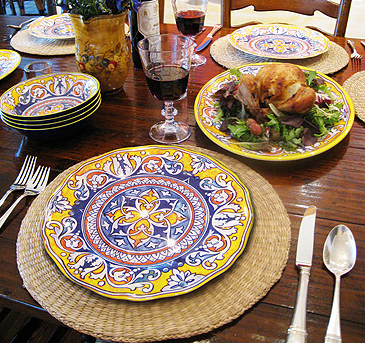 Before purchasing, choose a design scheme and then source your china. Storage can be beautiful as well! Show off all of those saved magazines and recipes you’ve been tearing out for years. 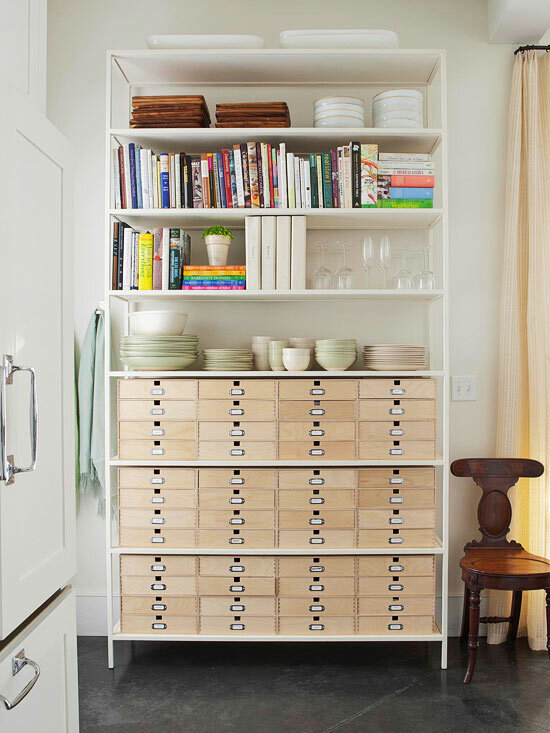 Use storage containers to simplify and match design aesthetics. 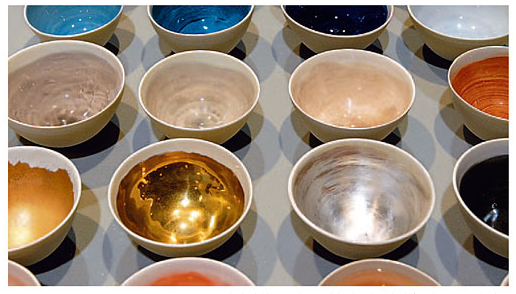 Standardize your storage by using the same style and type of container in different sizes. Buy spices that already look beautiful and show them off. Made with magnetic caps, these spices sit beautifully against a metal backsplash or as shown below on a wood cutting board. These bottles present any spice as art. I would update the look with some brighter wood and of course use standardized spice containers, but what a great design idea! Mason Jars – timeless & constantly evolving! Mason jars, invented in 1858, are still being used to can and preserve food, but that isn’t the only way to make use of this dependable glass jar. 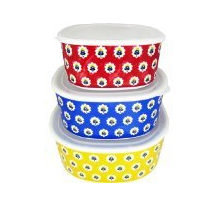 Here, the jar serves as a container for cooking and storing. Look at this genius! Give the gift of warm dessert (or comfort soup) without having to prepare it! Overhead lighting brings a country feel to downtown. 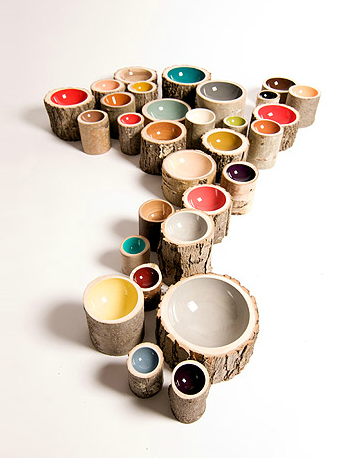 Adorn an outdoor patio, a dimly lit wooden dining table, or the mantle of your fireplace. 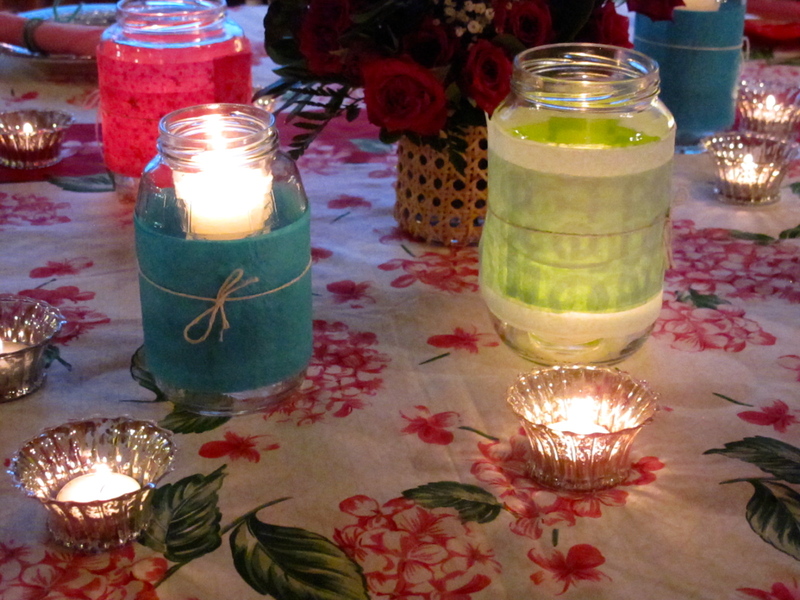 Decorating couldn’t be easier than using a few jars, water, and floating candles! 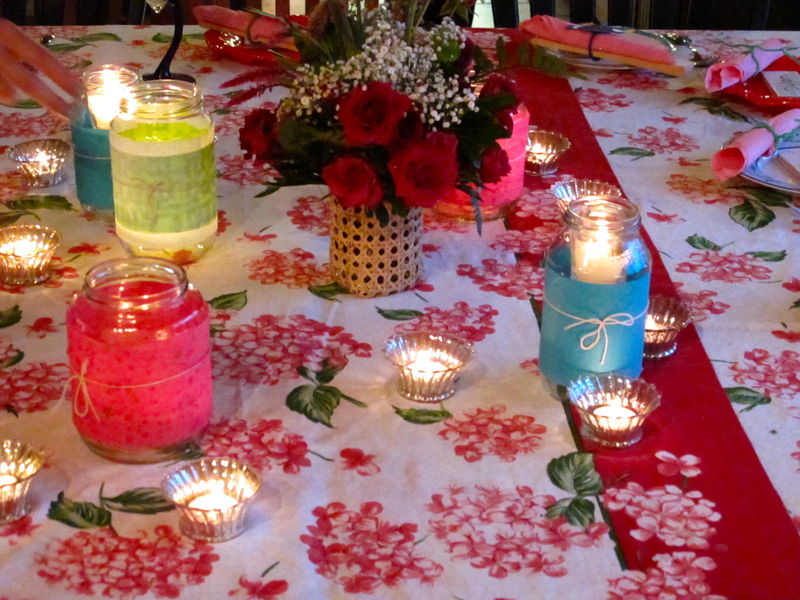 I used twine to attach recycled tissue paper on jars in order to add fun accents to our dinner table. Using natural fibers around a simple design can enhance lighting for an even more romantic vibe. Spray paint the inside to create a bright and unique color blend. The possibilities are endless! 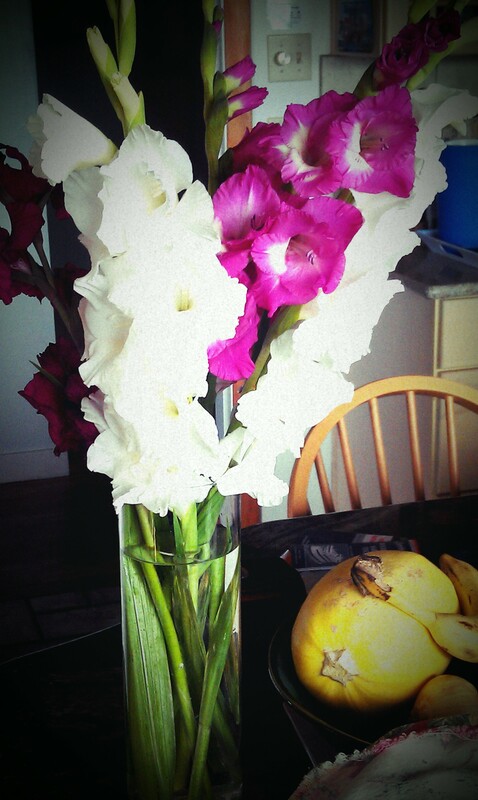 Be creative and make your own floral vases! You can order your own kit or have the experts create a scene for you; I recently had the twig-artists re-create my friend’s wedding scene in a ball jar they used for floral arrangements. The simple beauty in this design is due to the clean use of twine and color. The unique height and placement of this vase is amazing. It completely outdoes the ordinary. What is better than fresh herbs year round? My name, Marisa, means “of the sea,” so it should come as no surprise that I am constantly inspired by the ocean. Additionally, as I am a Leo (born in August) I am also inspired by the beautiful colors of the sun’s rays. Wednesday was my birthday and I couldn’t have had a more amazing day! I feel best starting the day by getting centered with yoga. 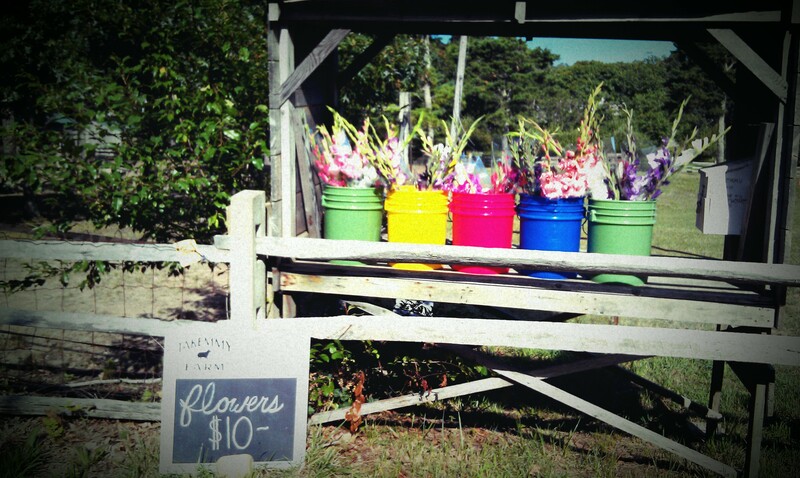 On the Vineyard, there is only one place that I can always count on, Fly Yoga! On the way back, I treated myself to a Mexican Mocca at The Scottish Bakehouse before heading home to begin the beach day. Despite the focus on me, however, the most joy I experienced was in witnessing the happiness my mother showed when I gave her some beautiful flowers as thanks for everything she has done for me. After the beach, my closest friends and family went to the Orange Peel Bakery, an outdoor stone oven in the hills of Gayhead. 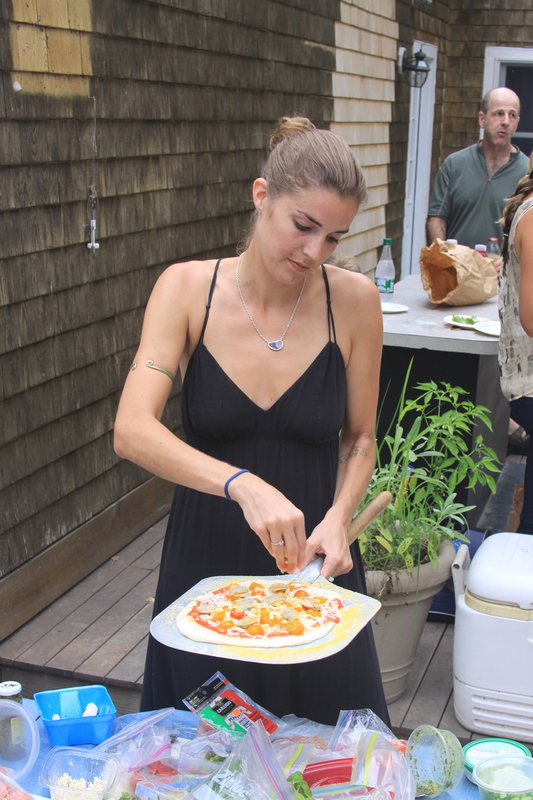 While Orange Peel is most know for making delicious artisan bread, sold at local grocers and farmer’s markets, they also host a ‘donation only’ pizza night on Wednesday nights in summer. People bring toppings and usually donate a suggested $10 to make their own pizza and sample all the others made. 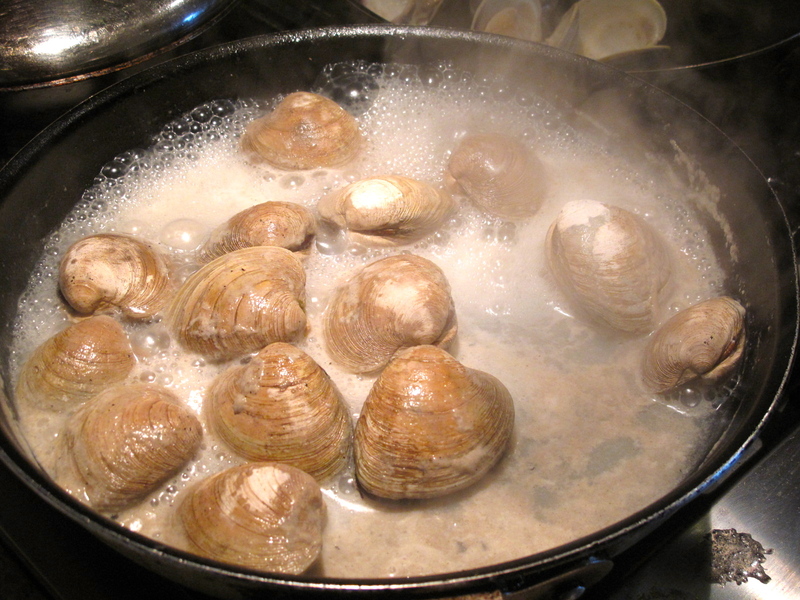 A local farmer gifted me some fresh clams that we sauteed in white wine, olive oil, basil and salt/pepper, which we brought as our topping!